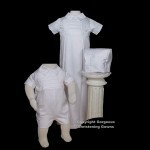 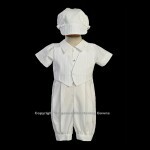 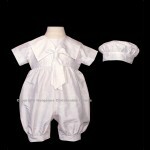 Home » SHOP » Christening Wear » Boys Christening Outfits » ‘Sailor Boy’ Handsome Boys White Sailor romper accented with navy. 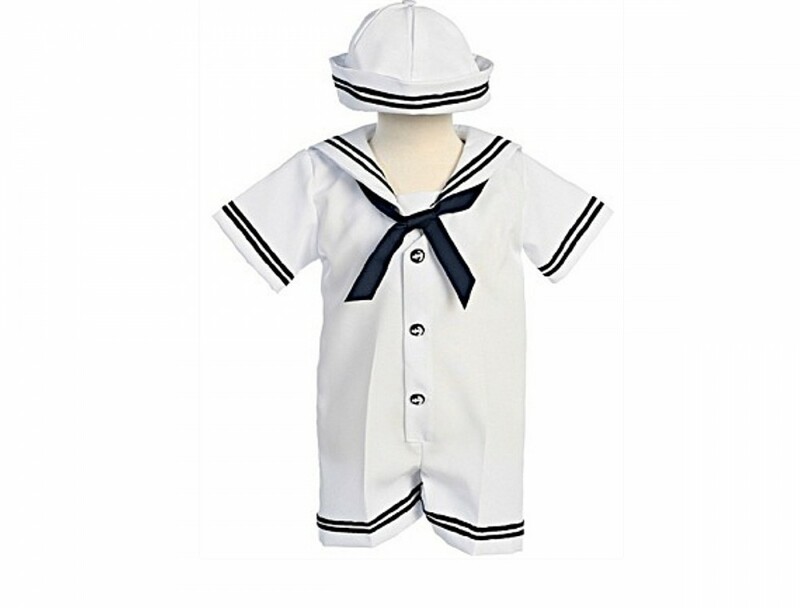 Dress up your little boy in this adorable white sailor romper with navy blue pinstripe trim and the matching sailor hat – perfect for portraits! 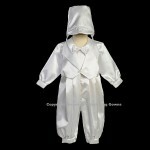 100% polyester, Machine wash and dry.